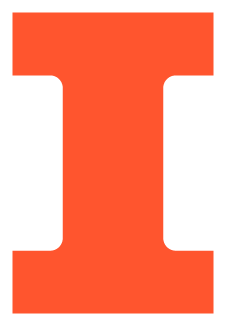 For undergraduate students interested in transferring to Illinois from another institution, the Office of Admissions provides some general information. For specific transfer requirements, including the various requirements for each CS undergraduate program, please consult their detailed handbook. For students who are already on the University of Illinois at Urbana-Champaign campus, the requirements to transfer into computer science differ according to the desired CS undergraduate program (CS in Engineering, Mathematics & CS / Statistics & CS, or CS + X). Students who were not accepted into the College of Engineering as freshmen should review the College of Engineering undergraduate advising wiki for eligibility to transfer to a major in the College of Engineering. If eligible, students who began at UIUC as freshmen starting Fall 2017 or later will need to first apply for entrance into the PREP program. Students who were accepted in the the College of Engineering as freshmen and intending to transfer into the Computer Science program in the College of Engineering are expected to meet the minimum requirements below, and follow the petition procedures spelled out in the College of Engineering undergraduate advising wiki. Meeting transfer course and GPA requirements is not a guarantee of acceptance; the transfer process into Computer Science in the College of Engineering is a holistic evaluation that includes academic review. (*) students who already have credit for one or both of these from elsewhere or via proficiency will need to take subsequent required courses in the CS major, such as CS 233 or CS 241, with grades of at least A-. CS 125 may not be taken by ECE students. ECE students must have taken ECE 120, ECE 220, CS 173, and CS 225 to be considered for transfer to CS. For ECE students, ECE 220 is a prerequisite for CS 173 and CS 225. These prerequisites will be enforced prior to the beginning of classes. Submitting your portfolio: The procedures for applying to CS-Engineering include submitting a portfolio. Go to Want to Change Your Major for more information. Deadlines: Students are highly encouraged to register their interest in engineering as soon as possible. Deadlines for Fall and Spring semesters may be found at http://go.engineering.Illinois.edu/exploremajor. Transfer decisions will be made after grades are available and shortly before the next semester begins. The College of Engineering contacts students about transfer decisions. Students must take at least two courses required for the CS major on this campus, beyond CS 125. (Typically, these courses would be CS 173 and CS 225, but students who pass the proficiency exam for one or more of these classes must take the next step in the CS prerequisite chain, CS 233, then CS 241.) Grades of at least A- must be earned in required CS courses. Students must also meet course and grade criteria for Math or Statistics department as detailed in the LAS declare page. Submitting your portfolio: The procedures for applying to Math & CS or Stat & CS in LAS include submitting a portfolio. Go to Intercollegiate Transfer for more information. Deadlines: Students are highly encouraged to register their interest in LAS CS majors as soon as possible. Deadlines for Fall and Spring semesters may be found at https://las.illinois.edu/admissions/intercollegiate. Students must take at least two courses required for the CS major on this campus, beyond CS 125. (Typically, these courses would be CS 173 and CS 225, but students who pass the proficiency exam for one or more of these classes must take the next step in the CS prerequisite chain, CS 233, then CS 241.) Grades of at least B+ must be earned in required CS courses. Students must also meet course and grade criteria for content area as detailed in the LAS declare page. Submitting your portfolio: The procedures for applying to CS + X in LAS include submitting a portfolio. Go to Intercollegiate Transfer for more information. Deadlines: Students are highly encouraged to register their interest in LAS CS + X majors as soon as possible. Deadlines for Fall and Spring semesters may be found at https://las.illinois.edu/admissions/intercollegiate. CS requirements for transfer will be similar to those of other CS + X programs (two required CS courses beyond CS 125 taken for a grade at UIUC - typically these will be CS 173 and CS 225, but students who have transfer or proficiency credit must take subsequent courses, CS 233 then CS 241). Because the undergraduate programs in CS have grown dramatically over the last several years, and there continues to be a high demand by students wishing to transfer into the CS major, at this time we can accept applications to do a second major only from the very strongest students.